At a time when the international Music Industry is looking to Jamaica for our music and our culture, a group of selectors continue to prove themselves worthy of the international acclaim that they constantly receive. They stamp claim to this once more with their latest mix - Live from Kingston Jamaica. 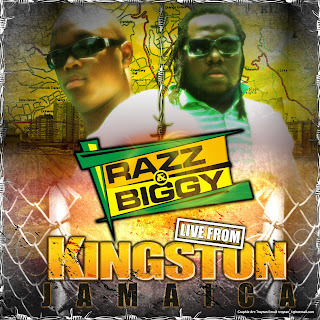 With this mix (Complied in October 2009) Razz & Biggy found themselves putting together work from some of the most talented producers and respected artistes of the Dancehall culture and placed them on a high energy mix which also features two tracks that they themselves worked on.